Jenn and I have wanted to brew beer for years. I have extensive baking and canning experience. Jenn loves to drink beer. How can this be anything but perfect? Here’s how. We have a small galley kitchen, and a small downtown apartment with little to no storage space. We also don’t have easy access to an outdoor space to brew in. While we really like living downtown, we also want to brew beer. One of our brewer friends turned me on to Brooklyn Brewing’s one gallon brew kits. This volume would be manageable in our small apartment space. In addition, screwing up a few gallons of beer sounds considerably more reasonable than screwing up several five gallon batches of beer. 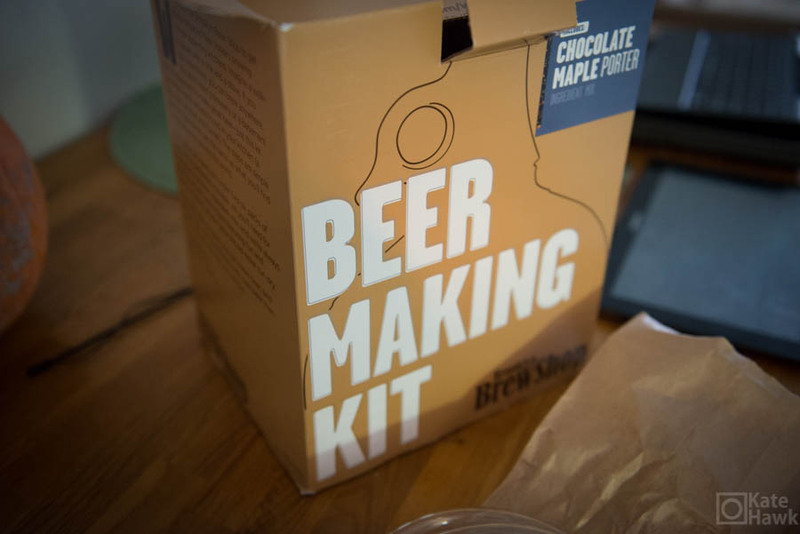 I picked up a Chocolate Maple Porter Brooklyn Brewing kit from Park + Vine. They were selling off their inventory, so I got it for half price. BONUS! 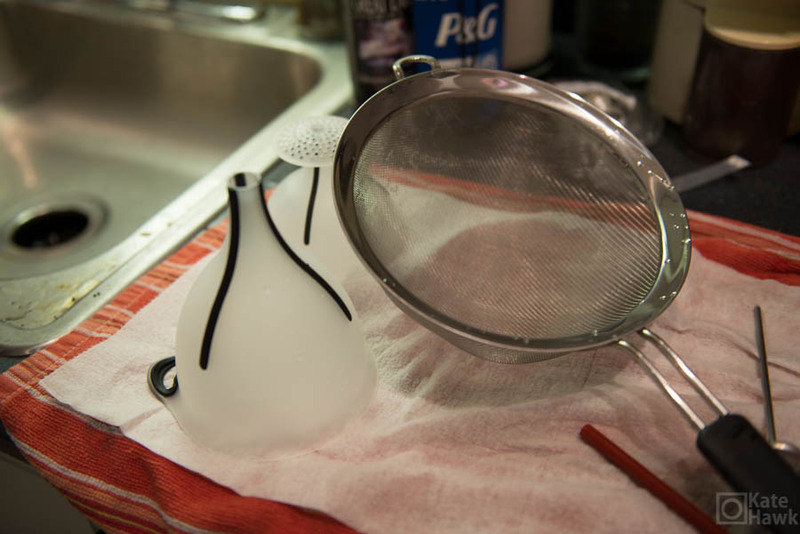 I was missing a fine mesh strainer. The morning of the brew I went to Bed Bath and Beyond in search of one. Their selection was limited considering the mammoth size of those stores. The strainer with the finest mesh also looked too small. I didn’t have time to shop around, so in my cart the strainer went. The beer kit. Chocolate Maple Porter it is. I learned four things from our first brewing adventure. First, that strainer isn’t close to being big enough. Second, we don’t have enough large pots. Third, the process takes considerably longer than what was estimated based on the directions. Fourth, this will make a stunning mess of your kitchen. 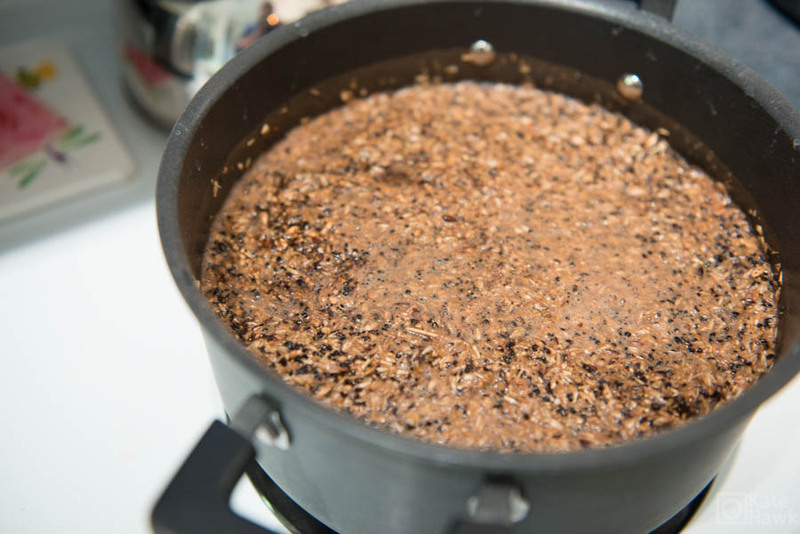 The basic process is that you cook grains and pour water over them to extract most of the sugars in the grains. 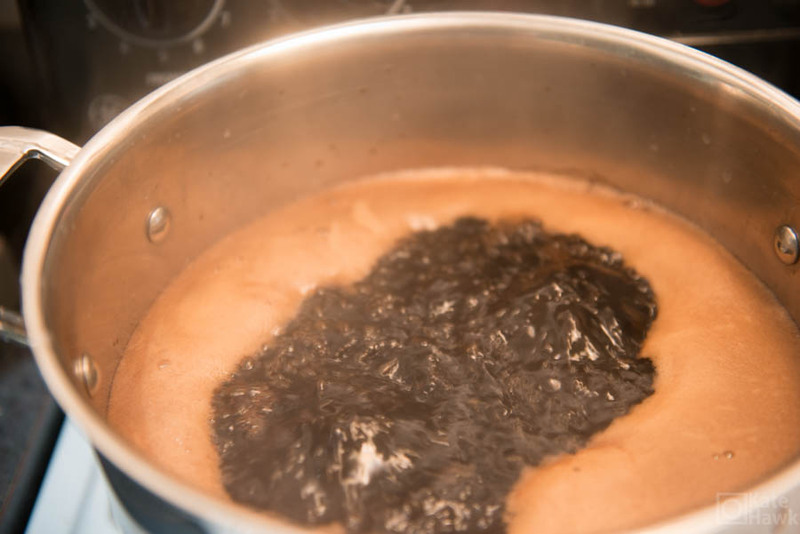 Then you add yeast to that sugary liquid, and allow time for the yeast to ferment the beverage into beer. I have left out some considerations with sanitation and the fermentation process, but you get the point. This is like making oatmeal. Only it will be boozy and probably not appropriate for breakfast. The boil. Had I read the directions more carefully, I wouldn’t have sweat any sanitation concerns until after this step. Sixty minutes of boiling kills everything. The process wasn’t difficult. It was just time consuming. Once I order a larger strainer, and we reconfigure how we deploy our pots this should be much easier on our second attempt. The beer appears to be going through the fermentation process as expected. It’s hanging out in the closet, to keep it away from light. It will come out in two weeks, and we will bottle it. From what I know about bacteria, the next possible place things can go wrong is in the bottling step. More to come once we bottle in a couple of weeks. Here’s the hops. 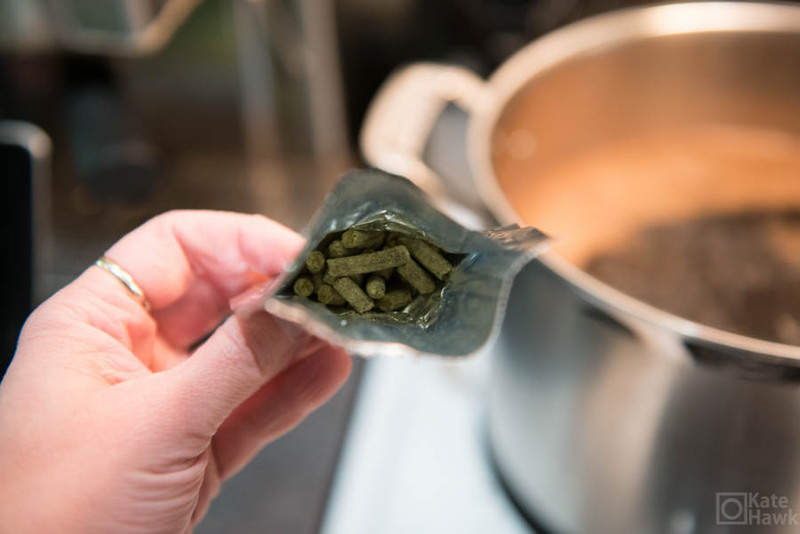 The first 3/4 of the packet went into the wort when it strated the boil. The remaining 1/4 went in after 45 minutes of the boil had elapsed. 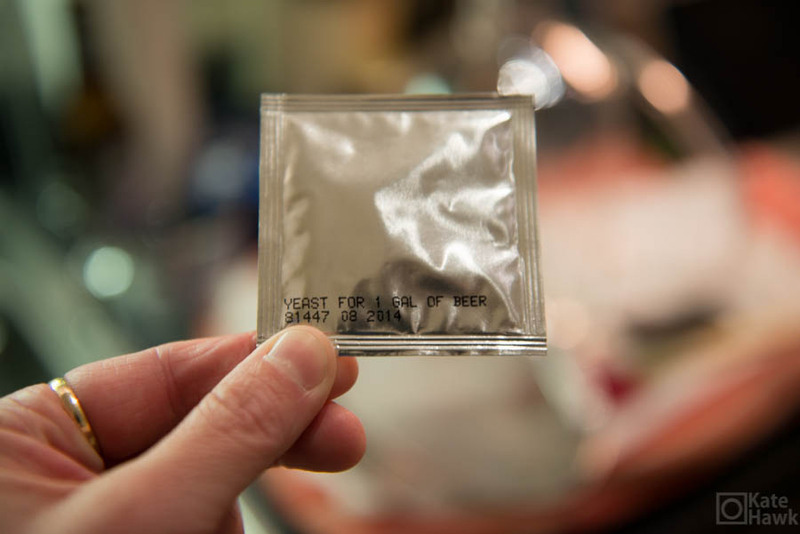 Tiny yeast packet. These weird little organisms are going to eat the sugar in the wort and release alcohol and CO2 as by products. 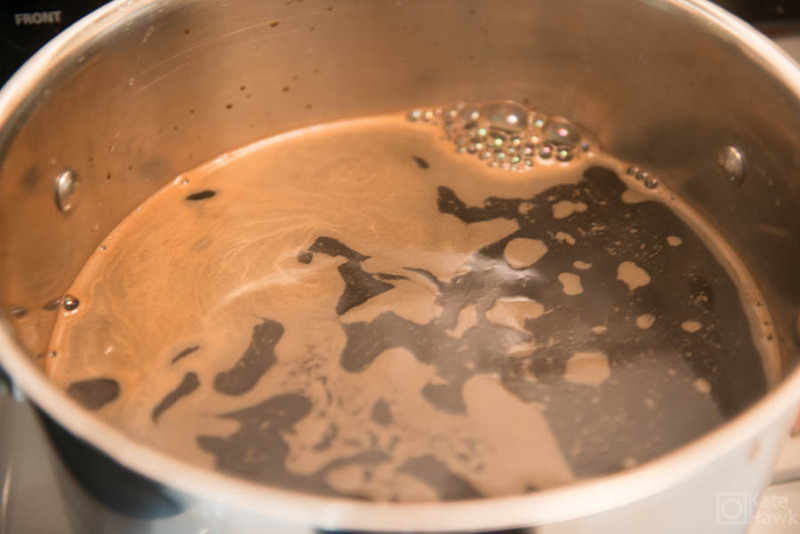 Here’s the wort once it’s been strained over of the cooked grains. 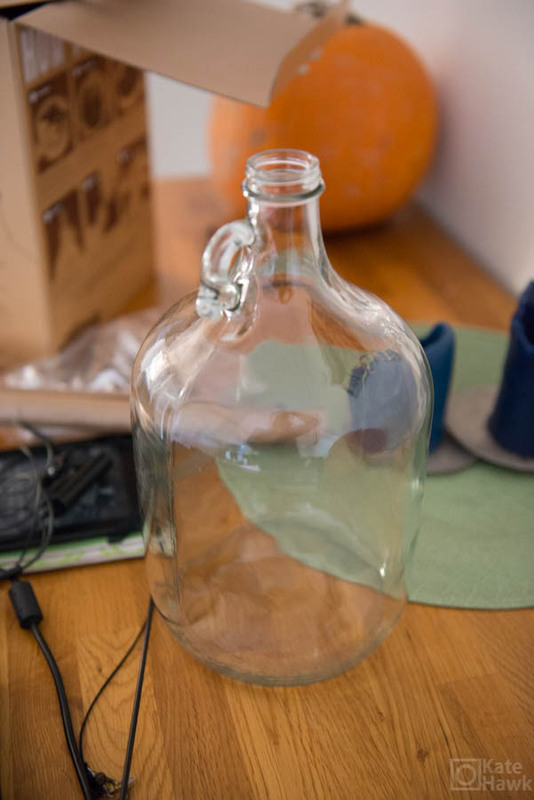 This the jug that the beer ferments in. Strainer = not big enough. 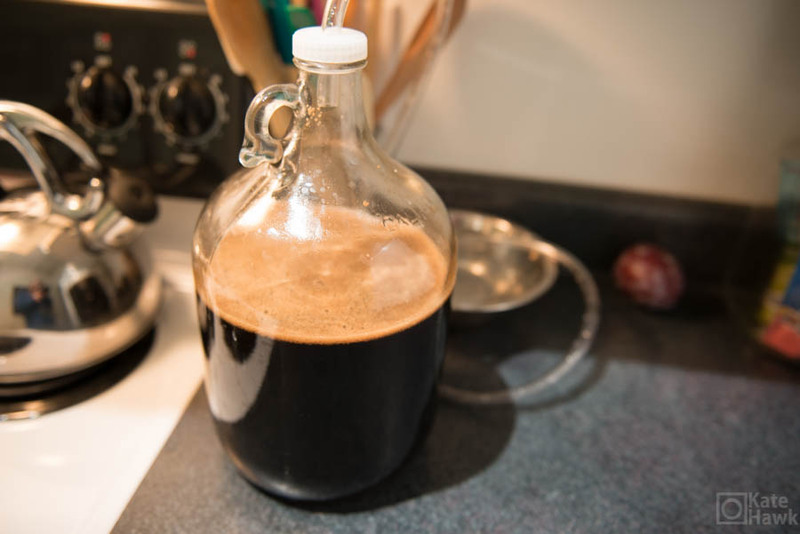 Categories: Beer, Cooking | Tags: brewing beer, brooklyn brewing, home brewing, porter, wort | Permalink.